This book perceives Engels's early contribution to Marxian economic analysis as providing the vision and several of the processes at play in the working out of that vision. It justifies his defense of Marx against charges of plagiarism regarding surplus-value doctrine; rationalizes his objection that the "utopian" socialists ignored the price mechanism while he himself proposed a central-control system; and analyzes his so-called revisionism in the light of constitutional and welfare reform within capitalism. Based upon an extraordinarily close and careful reading of the texts, Hollander presents a detailed, comprehensive, and sophisticated assessement of key issues in the development of Engels's (and Marx's) economic ideas - this is a major and impressive contribution to scholarship in the field. A valuable, incisive, and compelling account of Engels's contribution to the economics of Marxism. At last, Hollander has revealed the great debt which Marxian political economy owes to Marx's right-hand man. Hollander's critical dissection of Friedrich Engels's economic thought is scholarly, provocative, and engaging. This book makes a major contribution to our understanding of one of nineteenth-century socialism's most important, and most neglected, economists. Samuel Hollander is the leading authority on classical economics. His erudite and incisive accounts of Smith, Ricardo, Malthus, Mill, Say, and Marx are definitive. In his new book, Friedrich Engels and Marxian Political Economy, Hollander shows that Engels was more than the junior partner of a famous man, the second author of The German Ideology and The Communist Manifesto. Engels was an important and influential thinker in his own right. Disentangling Engels from Marx, exploring the intricacies of Engels on economic theory, applied economics, history, legislation, and the State, Hollander fills a major gap in the literature of ideas. The book is a major contribution to the social sciences. It will be the definitive analysis of an important author who is seldom read and even less frequently understood. This volume adds substantially to our understanding of the distinctive contribution made by Engels to nineteenth-century socialist political economy. Hollander's work makes clear Engels's role in shaping Marxian political economy in the 1840s and subsequently. Engels emerges in this work as a thinker whose capacity for self-effacement and deference to Marx too-often obscured the originality and importance of his contribution to socialist thinking. Engels in Hollander's rendition proves a more subtle and original theorist than he is often presented and certainly not as a proponent of the crude determinism which some have seen as his corruption of the Marxian legacy. 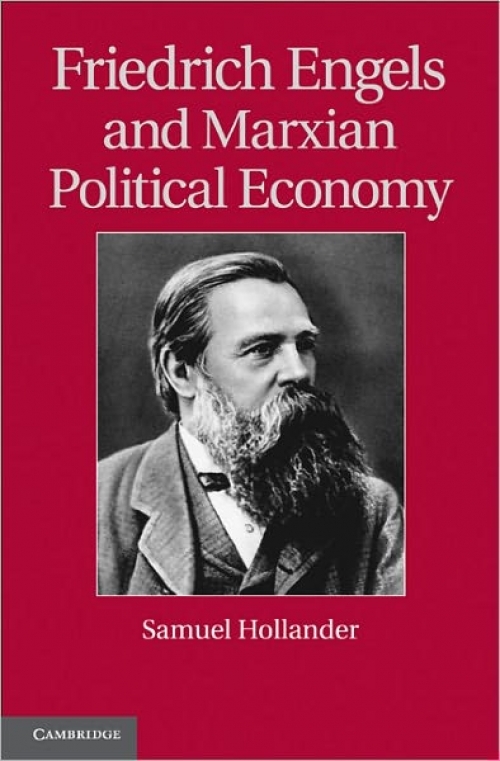 Taken with his earlier volume on The Economics of Karl Marx, Hollander's Friedrich Engels and Marxian Political Economy represents a major addition to the scholarly literature on these two titans of socialist thought.